Announcing The “Agent Carter” Sew Along! I now have a greater interest in the decade of the 1940’s ever since seeing the first airing of the Marvel Comics television series “Agent Carter”. As I am keeping myself busy making a slew of 40’s projects, I am inspired to invite all of you to join me – the more the merrier! To visit the official page for the “Agent Carter” television show on the ABC website, you can click here. It has loads of clips, each episode, and even an ‘ “Agent Carter” Fashion’ page for every week. On this page you can meet the designer and her team. With this sew along, I hope to highlight different styles from the 40’s and feature different historical facts that tie in with the creation I’m featuring. Let’s not just sew the 40’s…let’s learn new things about it with me! Making a unique, detailed, and satisfying creation is easier than you think. I like to try new and different things and hope to inspire you to try something that might be a challenge for you, like hats or even hairstyles. You don’t have to stick with doing what you know already – you can do that amazing project (it’s so worth it, too). I will try my best to provide you with a wide array of 1940’s info and inspiration. 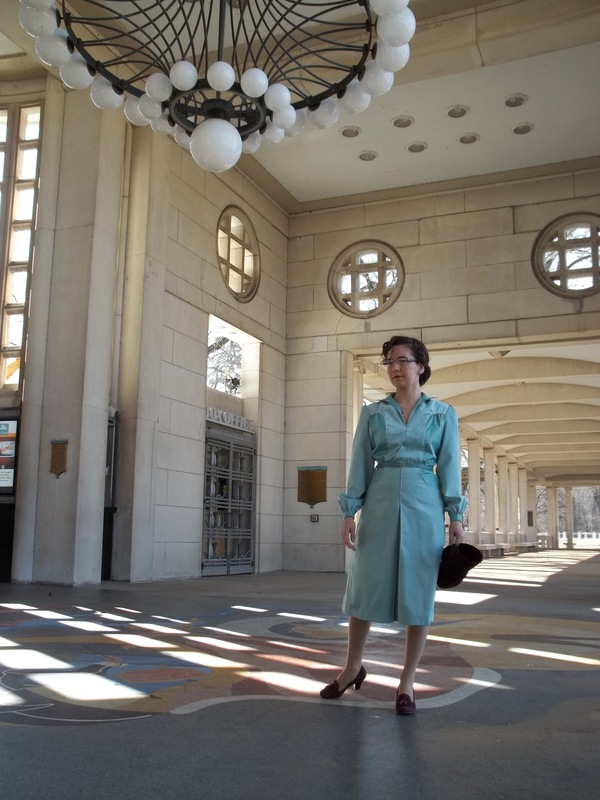 – I will have “Agent Carter” Sew Along blog posts of 1940’s era creations, inspired by the styles from the show and from the 40’s decade. It will last from now until Memorial Day, which is Monday May 25, 2015. 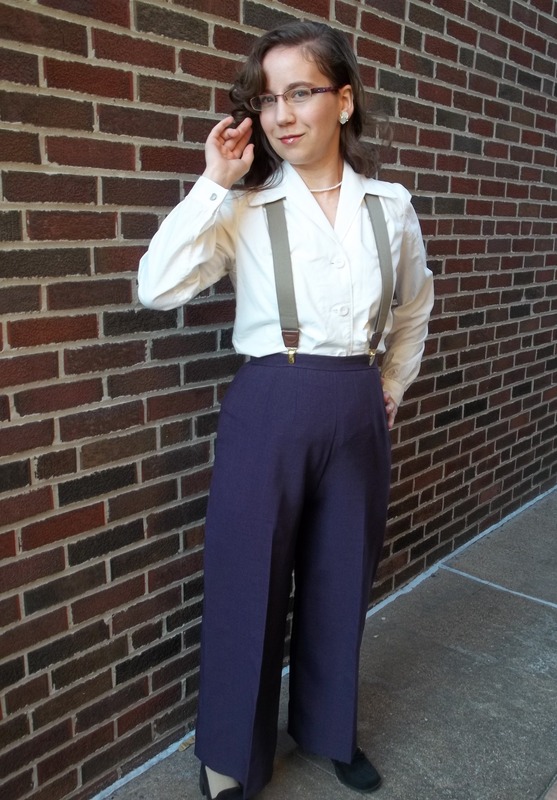 – Sew your own 1940’s era Peggy Carter style garment along with me. Your creation can be her type of style (easy but structured mix and match separates, professional suits, feminine dresses, rich patterns and colors), or it can be inspired by the style of one the television show’s other characters (such as Dottie’s sweet and wholesome looks). Please stick to the 40’s era, though – nothing pre-1940 or past 1949. – Your project can be made for this sew along or something you’ve already done recently. Let’s just make it be something that a character in the show might have worn, true to the 40’s era, and something that you haven’t shown or blogged about before. 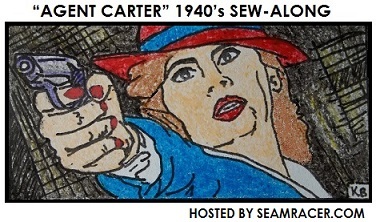 – Leave a comment at the bottom of any one of my own “Agent Carter” Sew Along blog posts, linking back to your creation, whether it’s on Flickr, Facebook, a blog of your own, or anywhere you chose to show off what you make. – Any questions, just drop me a line through my contact form under my “About” page. Here’s a little bit of eye candy of the things I’ve sewn recently since “Agent Carter” first aired. I will be posting the full details on these makes soon enough, so stay tuned! My sew along badge was personally drawn and colored for the occasion, and if you’d like to use it in any way please contact me. Of course, I would greatly appreciate spreading the word. Please, always link back to this page on my blog. Now, this sew along does not mean my blog will become a 40’s only blog until after May. No! I like too many other decades and enjoy variety in my projects. There will be a intermingling of other project posts in between 40’s era stuff. I hope you enjoy “Agent Carter” episodes as much as I am and enjoy sewing along with me. I’d love to have you and can’t wait to see what you come up with. This entry was posted in 1940's and tagged "1940's sew along", "Agent Carter" Sew Along", "vintage sew along", 1940's, sew along, sew along 2015, vintage by kellycb. Bookmark the permalink. I’m in! Is it okay if I post this on the Fedora Lounge? Yes! Let others know…share the link and the excitement for the 40’s! Hi! I just happened by this, as I am making the same pattern, but the tailored jacket for a Peggy Carter Comic-Con cosplay. Did you happen to attempt the jacket, by chance? Lovely 40s creations!! Thank you and hello! 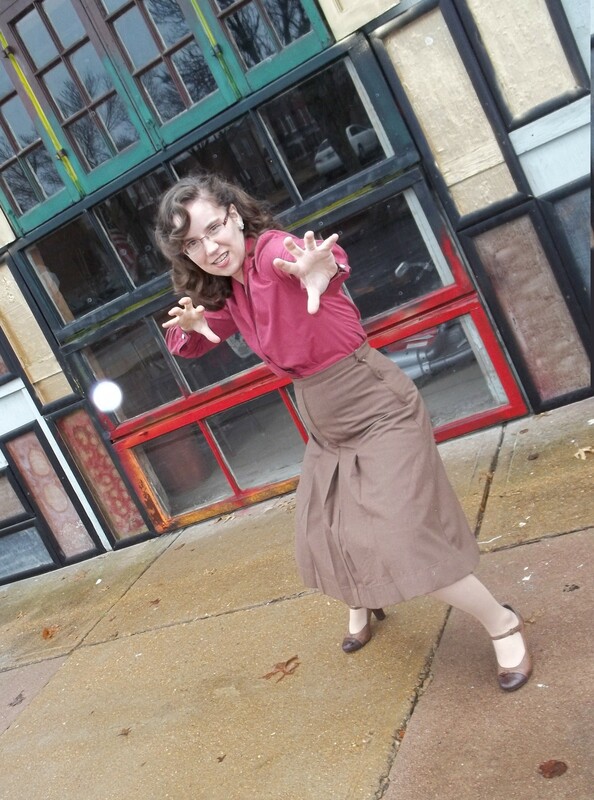 Sorry – I have not yet made Agent Carter’s blue jacket yet, though I hope to at some point. I would recommend a vintage suit pattern that has paneling (or at least many vertical seam lines) so you can grade the different color blues. Good luck, and enjoy your Comic-Con!